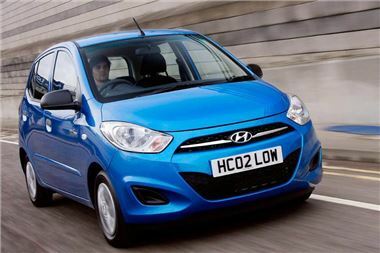 Hyundai has pulled the price of its i10 1.2 Active back from £8,795 to £7,338 for cars registered between 1st and 31st March 2011 on the '11' registration. Latest improvements bring the CO2 dowen to 108g/km, which means £20pa VED, and the EC certificated fuel economy is 61.4mpg combined. ISOFIX rear outer child seat tethers. Manufacturer backed ‘Triple Care’ package of 5 years unlimited mileage warranty, 5 years roadside assistance and 5 years vehicle health checks. 10-year no perforation warranty.